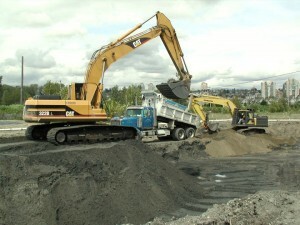 These services are provided by Sumas Remediation Services Inc., our sister company. The services include excavation, UST removals, transportation and disposal of contaminated soil, implementation of remedial measures such as onsite bio-cells, vapour extraction, groundwater treatment, and soil and sludge stabilization. Sumas also operates temporary bio-cell in several municipal landfills in Western Canada for the treatment of hydrocarbon contaminated soil.